Kentucky Bourbon aged in an oak barrel has a very rich and unique taste. 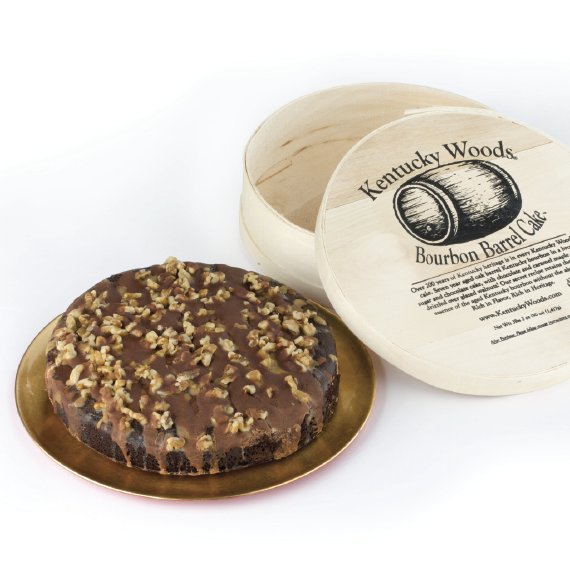 Our Kentucky Woods cake is the original, one and only Bourbon Barrel Cake and is a moist brown sugar cake with pure maple and chocolate cake, topped with walnuts, chocolate and caramel bourbon icing. I sent this cake as a gift. It was very well received and delicious. The order was processed timely and followed up until delivery. I would highly recommend! The cake was very good.